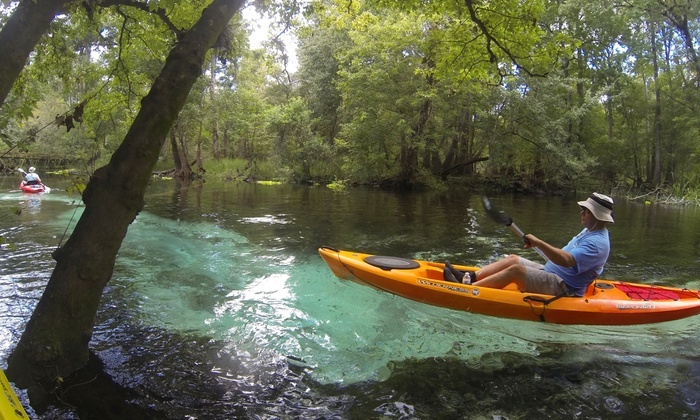 Paddling kayaks and canoes on Natural North Florida’s Gulf coast, its rivers and its springs can be the highlight of your visit. In our 14 county region, we have several rivers, including the mighty Suwannee, as well as the largest concentration of first-magnitude springs in the world. And if those places don’t get you excited, we also have dozens of lakes, in all sizes. 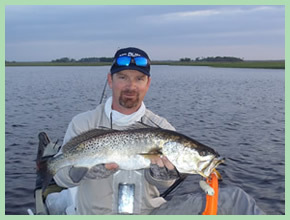 And there’s no need to bring your own boat–we have some excellent outfitters and guides spread throughout the area. or any other of your choice . 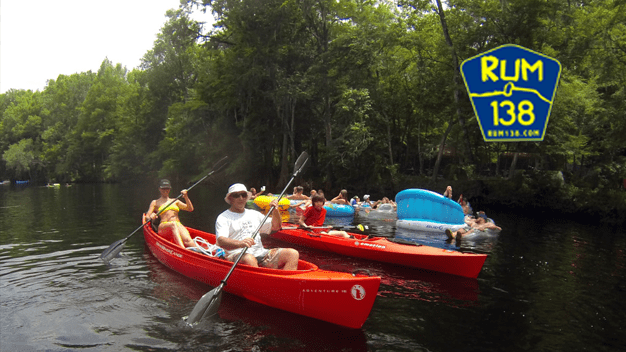 Brack Barker’s Wild Florida Adventures is a member of the American Canoe Association (ACA), Florida Society for Ethical Ecotourism, Pure Water Wilderness, and Original Florida. Wild Florida Adventures received certification as an ethical ecotour operator by the Florida Society of Ethical Ecotourism at the Platinum Level during their recent annual conference on June 28, 2015. As the only authorized regional dealer for Hobie, Wilderness Systems, Perception and Jackson Kayaks, The Wilderness Way employs knowledgeable staff experienced in paddlesports with the ability to put you in the right kayak. Eco-tours, instructions, kayak fishing, repair and rigging in our service department along with kayak and bicycle rental are among our services. 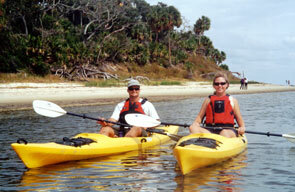 Visit our location only 20 minutes from Tallahassee for all your kayak or canoeing needs. Nearby, and a bit closer to the Gulf, is T-N-T Hideaway. It’s also owned by the same family that owns The Wilderness Way. Located 20 miles south of Tallahassee, FL, the Wakulla River is fed by an underground spring that emerges at Wakulla Springs State Park and flows out to the Gulf of Mexico. 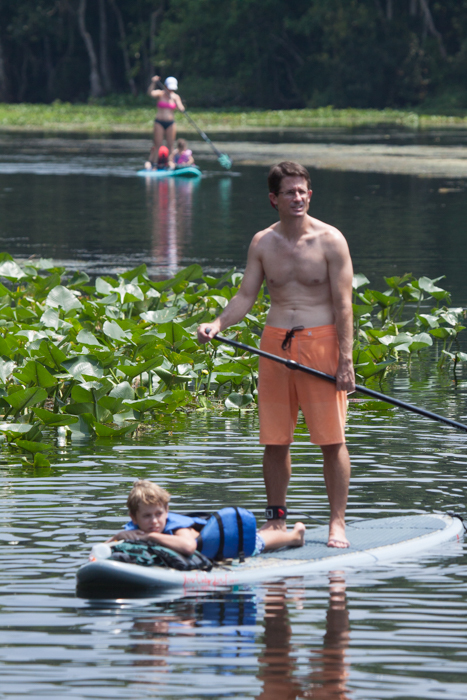 The slow moving river is perfect for the beginner or entire family. You launch at our location so there is no shuttling necessary. The ancient Wacissa River, south of Monticello in Jefferson County, offers some of the most beautiful spring-fed water in the region. 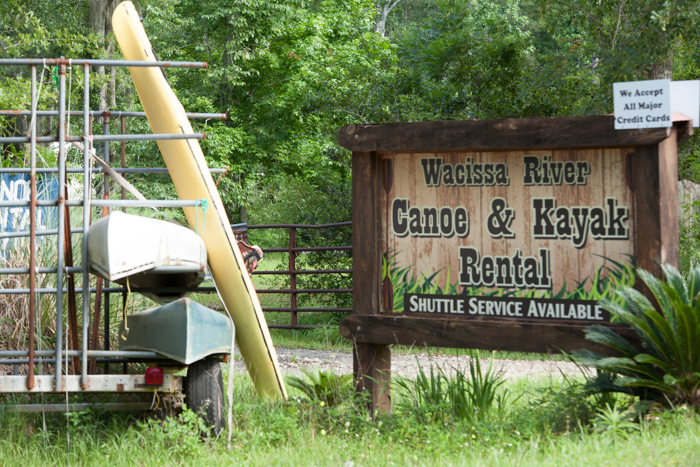 Wacissa River Canoe & Kayak Rental is just up the road! Anderson’s Outdoor Adventures has several rental locations, including Manatee Springs, SR47 at the Santa Fe River and Blue Springs Park in Gilchrist County. They also offer shuttle services. Santa Fe Canoe Outpost is one of the oldest outfitters in our region. They offer canoe, kayak and paddleboard rentals and shuttles from their location at US441 and the Santa Fe River, near High Springs. One place that should be on your “bucket list” is Rum Island Spring and park in southern Columbia County. This small, pristine spring is aside the Santa Fe River on the north side of the river. It’s accessed from CR138, north of High Springs off US27. Rum138 Outfitters can arrange rentals and shuttles to the spring or to one of the many Santa Fe River launch spots. Last, but certainly not least to mention is Adventure Outpost, located on US27 in downtown High Springs. Owned by noted paddler, adventurer and raconteur Lars Andersen, this is a good source for rentals and information about paddling all of our region. Be sure to check out their website for a thorough look at their offerings.